Enhanced car park solutions. That’s Ace. Ace Parking can tailor our value-added services to your specific car park site, based on a close study of the local area demographics, in consultation with you. Bay Guidance Systems or Precinct Guidance Systems can be considered after traffic flow and monitoring studies are undertaken by Ace Parking, to ascertain if they are required and feasible. Ideal for a location with high turnover, the systems enable patrons to find a car space with little effort or delay. 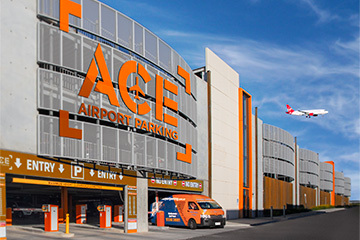 Ace Parking has a range of innovative payment solutions that allow parking to be pre-purchased for convenient guest or business parking, including pre-paid voucher parking accounts, online booking, monthly accounts and validation systems payable on invoice. Our payment solution options are all aimed towards providing a better customer experience and increased revenue opportunities. The key to a successful loyalty program is to deliver tailored offers, based on a customer’s needs and preferences, whilst providing multiple engagement opportunities and unexpected benefits. The Loyalty Program not only rewards the customer, but enables the owner to gain valuable insights into the spending habits and preferences of their customers. Knowing who your customer is, and what they like, allows Ace Parking to deliver the service and products that are most relevant, wanted and appreciated. It’s important to stay up-to-date with market progression and make every opportunity count. The rise of parking apps that provide information on the cheapest or best parking available near you and has seen a growth in pre-planned parking. Application specific technology is being developed by car manufacturers such as BMW, portable navigation companies including TomTom, Garmin and Navman and even direct-to-consumer app developers. Each application is striving for one main objective – convenience. This can be achieved by reducing a user’s travel time, stress and inconvenience, through suggestive and forward trip planning. Rather than just provide directions to the destination, a range of options are being provided, such as real-time available parking. Hence, developers are looking for map and data information from providers like Suna, Sensis and Google Maps. Real-time information will then be available to the user and the application, including traffic conditions, availability of nearby parking space and prices plus distance from the car park to their intended destination. Ace Parking has developed partnerships with a network of providers and we provide regular, real-time information to ensure our parking facilities appear during the decision-making process for parking app users.